Helsen painted this piece during summer 2014 while preparing an exhibition for a gallery which was located in a sculpture park with a pond, the atmosphere was blissful and inspiring. 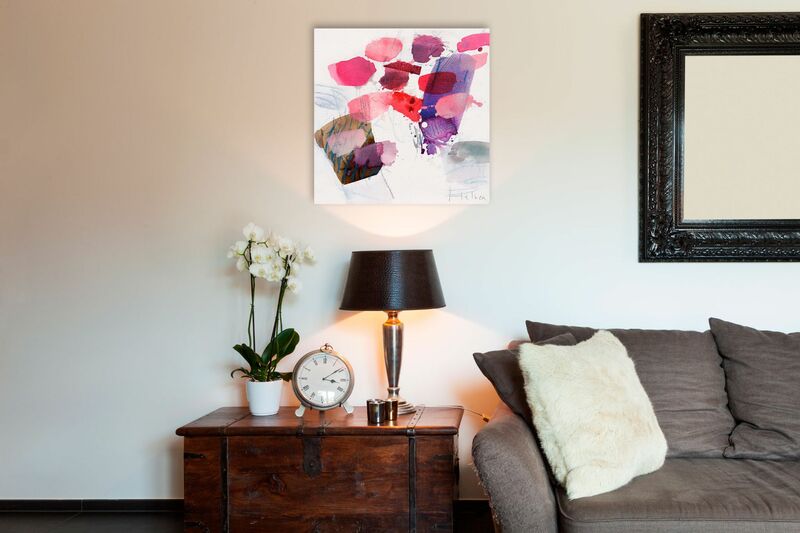 "Color spots III" is a transposition on canvas of Helsen's impressions, the painting echoes to a swarm with its large and colorful patches. 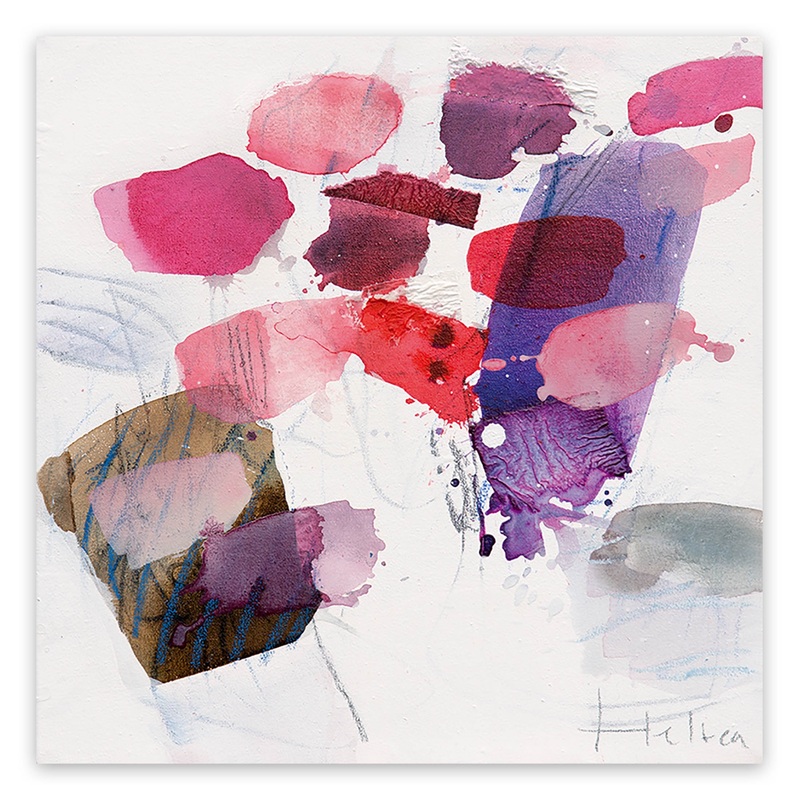 Greet Helsen is a Belgian artist who is inspired by nature, drawing abstract landscapes and using acrylic like watercolour. She lives and works in Switzerland. Greet Helsen studied at the Assenza Art school, Switzerland, where she graduated in 1984. 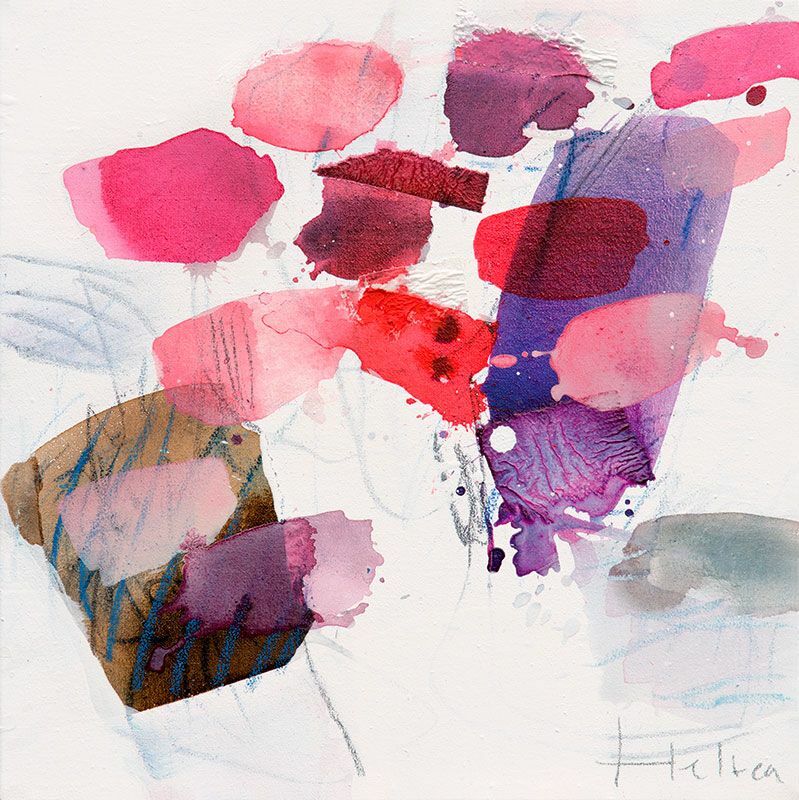 Greet Helsen started many years ago an exploratory journey into acrylic, she learnt the effects of dilution of pigments. Her first step, always, before working on the canvas, is diluting, until she obtains the degree of transparency desired. Her paintings are created from a perspective of composition of colors , surfaces and lines, giving her painting a unique elegance, liveliness. The individual layers of colours are always visible; the splashes of colours and ink lines contribute to the harmony like a musical composition. Greet Helsen has widely exhibited in Switzerland and Germany.